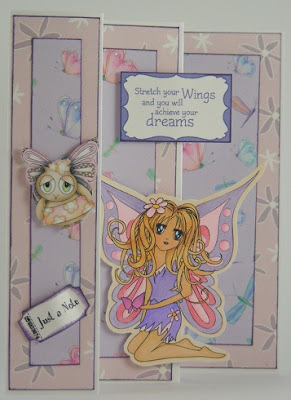 A - Week 35 - Fairy Time and a free Angelberry Digistamp worth £2.95! Hi everyone, time for our Friday challenge! Home for Christmas, which we know you are going to LOVE!! Plus you can save a huge £4 if you pre-order it before 11th September so don't miss this one, we're all dying to get our mitts on it here on the team! EEEK!! We told you we had loads of news, too much stash, way too much stash in one weeek! Right, let's get down to this week's business! You each win a wonderful DigiWorld Downloadables! Email Nikky here to claim your prize please! This week's challenge is Fairy Wings! Angels count too! 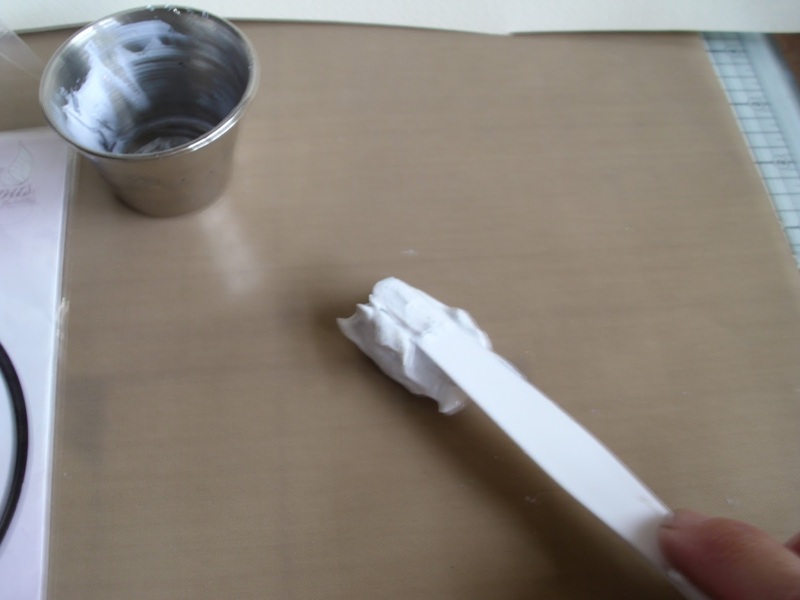 to use in the challenge! Email us here to get your free digistamp now! 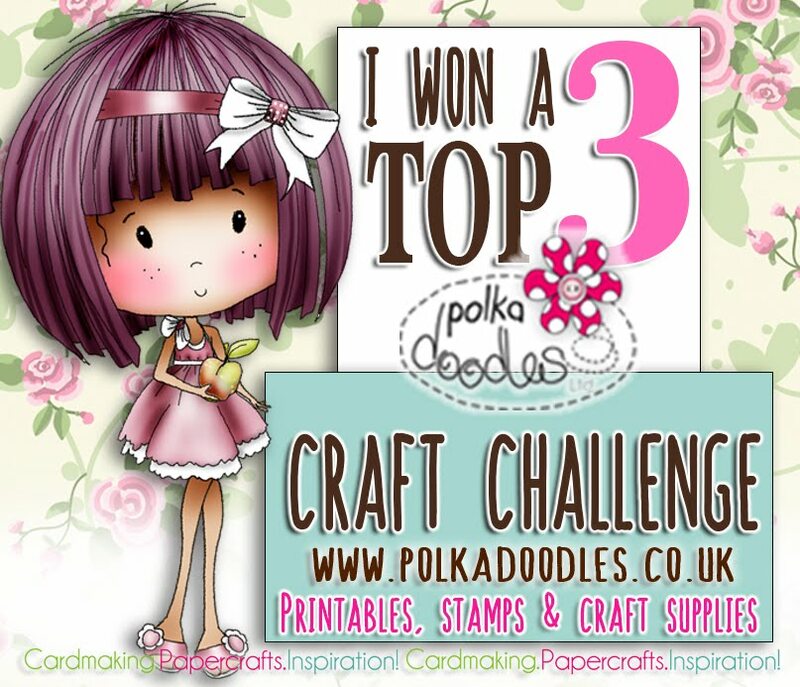 The winner of this challenge will win a heavenly bundle of goodies worth £50 from Polkadoodles!!! A massive prize!! And our 2nd and 3rd winners will also win a copy of the Angelberry CD too! Woohoo! Right, let's get on with it! Asha - Fairy time! What a wonderful excuse to play with Christmas fairies. 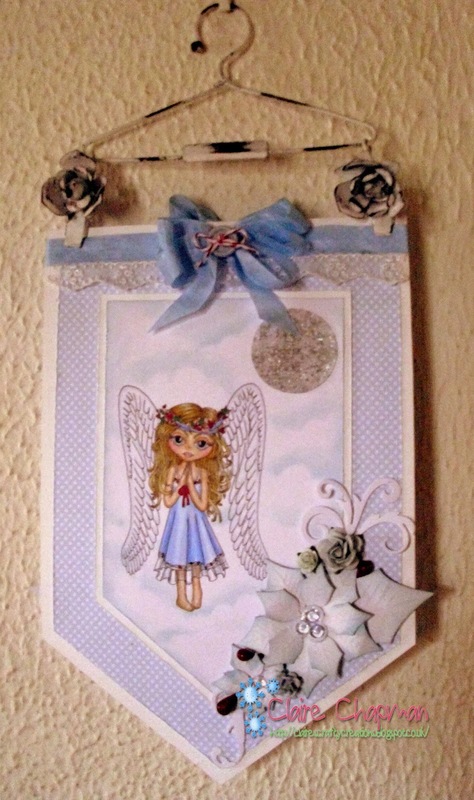 This week I bring not one but two fairies with this swing card made entirely from images, papers and greetings from the delightful Angelberry Christmas collection. I added very few extras in this production - just some Liquid Pearls and Stickles. If you like fairies and Christmas, this CD will keep you busy with fabulous festive makes. 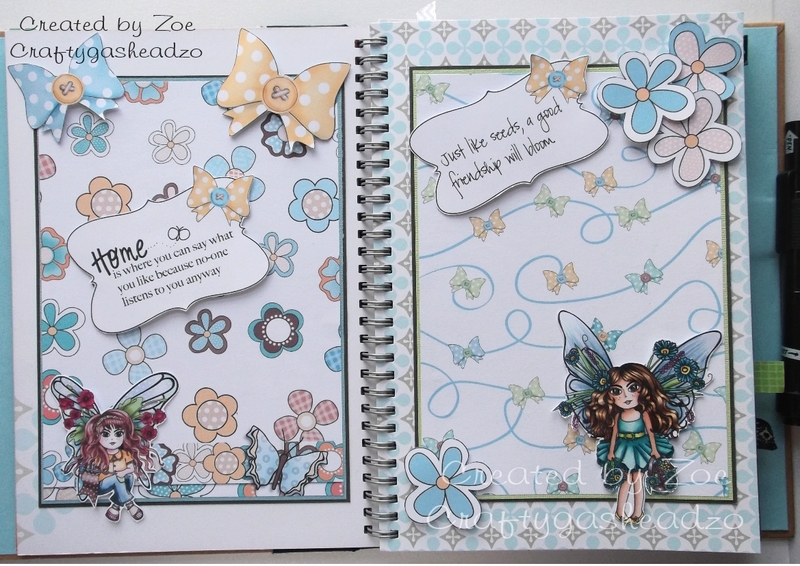 Zoe - For this, my first time DT project for Polkadoodles, I chose to use the very gorgeous collection that is The Bonbon Belles CD. 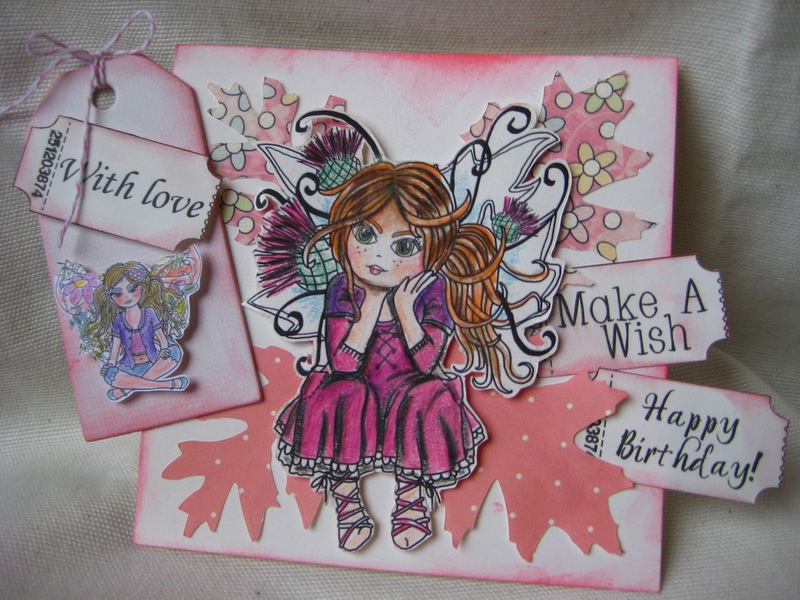 I chose two different fairies - one I hand coloured with a mix of markers and the other a pre-coloured image from the CD. 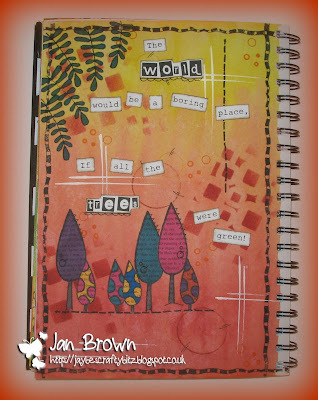 Together with papers and embellishments from the collection I created pages in my craft journal. It's something I love to do and find it's something to look at for inspiration. The sentiments are from Picknix collection (Studio 12) which I wanted to finish the pages. 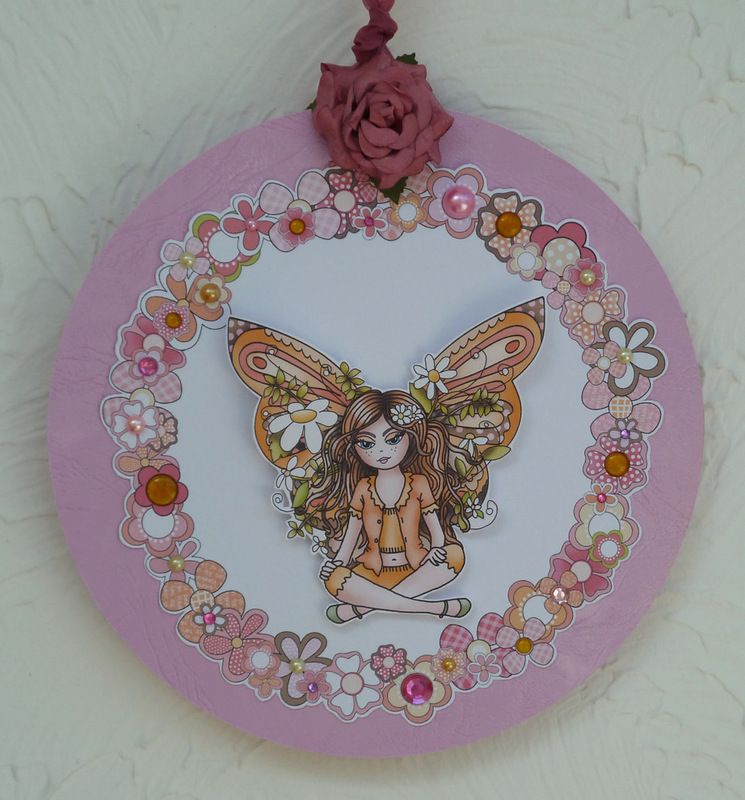 Bev - This week I opted to use the gorgeous Sugarplum Daisy CD Rom. I printed off a few digis to make up my picture and coloured them in with my Graph it markers. 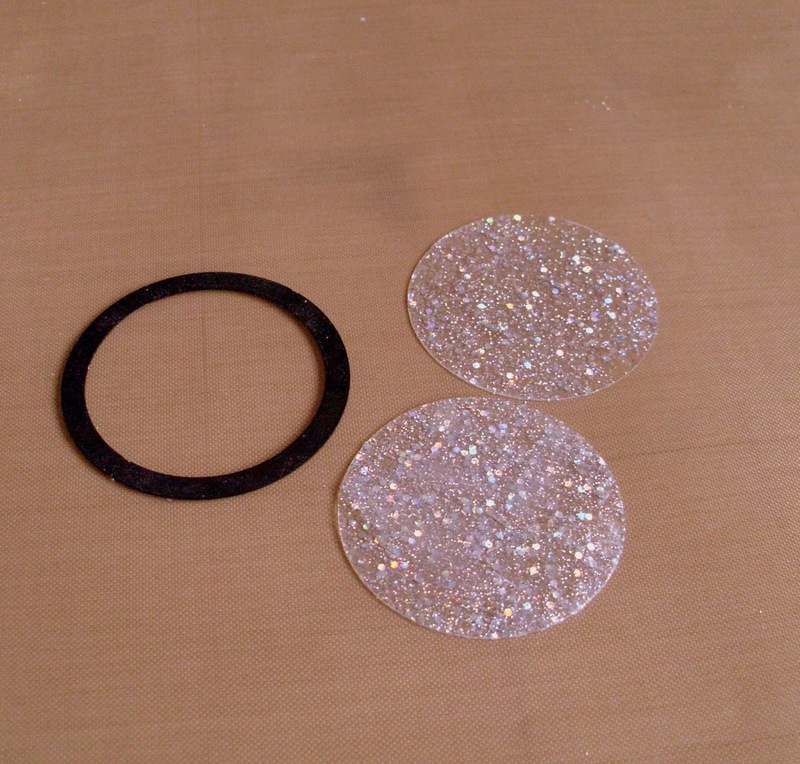 The backing paper and cute tickets also come from the same CD. I inked up a doily to add a lacy edge, a leafy die cut & a flower from my crafty stash completes this bold design. 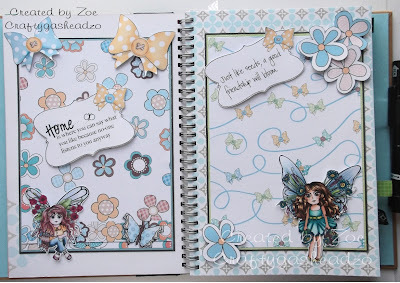 Karon - This week we were asked to try and put two different fairies on the same project. Did you know that owl fairies actually give the fairies their wings? Well, that is what I am going with :-) My little owl is from the Bonbon Belles Double CD and the second fairy is from the CD collection All Around and Everywhere. 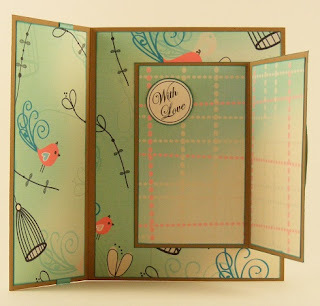 I made an accordion card, or triple fold card, and layered it with papers from Cherryblossom Lane CD (Butterfly paper) and the Double Sprinkle of Kraft CD (Daisy paper). The main sentiment was also from the Double Sprinkle of Kraft CD. The little ticket "Just a note" was from the Cherryblossom Lane CD. Alethea - Well I went all out this week and became a little creative!! I created a door or wall hanger for one of Logan's friends' from school who is having a party this weekend! 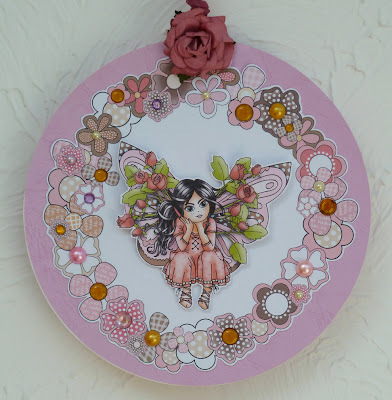 I went through all my Polka Doodles cd's looking for fairies and accessories to go with them and decided to use the new Bonbon Belles Cd disc 1 and 2. I was initially going to make a card then got a great idea to create a scene on acetate! The only thing not from the Bonbon Belle's cd is the mushrooms (from Sundae of Seasons cd) that I have incorporated into the garden! Parts of the garden are raised so there is some dimension, I added kindyglitz for some sparkle, rhinestones for bling, replaced the flower stems with twine as well as the banner string, then added the painted chipboard letters. Claire C - I'm in the festive spirit this week and getting ready for Christmas, talk about organised lol. I've made a double sided door hanger using images and papers from Angelberry Christmas Cd. The images were coloured with Graph'It markers and I've added some die cuts and a sparkly moon made with Maimeri Glassy Gel. I've added some text to the sky, on on side it says 'Santa Please Stop Here' and on the other its says 'I've been good', I've popped the sparkly moon over the text so you can only see it at certain angles. 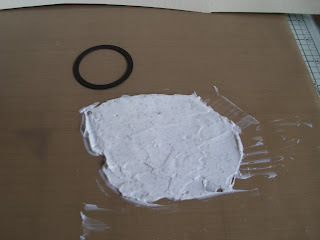 I've done a tutorial on how to make the moon so scroll down if you fancy having a go. Anjie - I know it's not my week but I loved the theme so thought I would gate-crash with a card. 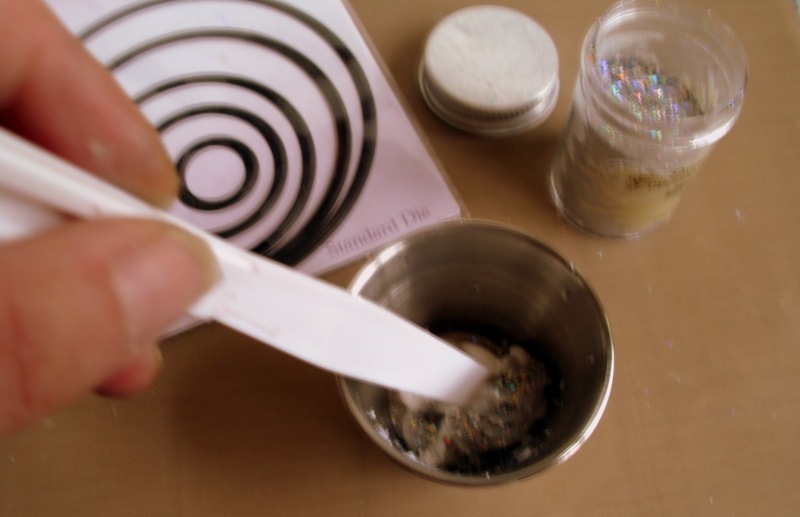 The papers and images are from the Sugarplum Daisy CD-Rom. I have coloured the image with Graph It markers which you can buy from here. I've added some faux stitching to the papers and some glitter to the wings. I've made the roses from the same paper then added some lace, a feather and a die cut doily for some added interest. I'm really pleased with how this card has turned out, I think it's because it's in my fave colours! 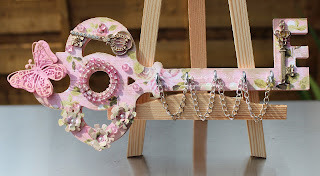 Hi there, It's Rebekah here with my first DT project for polkadoodles and the Fairy time challenge! I have created a bookmark pocket card for my daughter. I have used the chocolate lime papers from the Bonbon Belles double CD. Both my fairy digis are from the same CD and I have coloured them both with pencils. The great thing about digis is being able to resize them so I could make a tiny one for the bookmark, of course you might want to use a pre coloured image if you don't like colouring in tiny details! I have also used the Bonbon Belles CD for many of my extra elements like my layered butterfly and ladybird and some of my flowers, all from the coordinating collection. 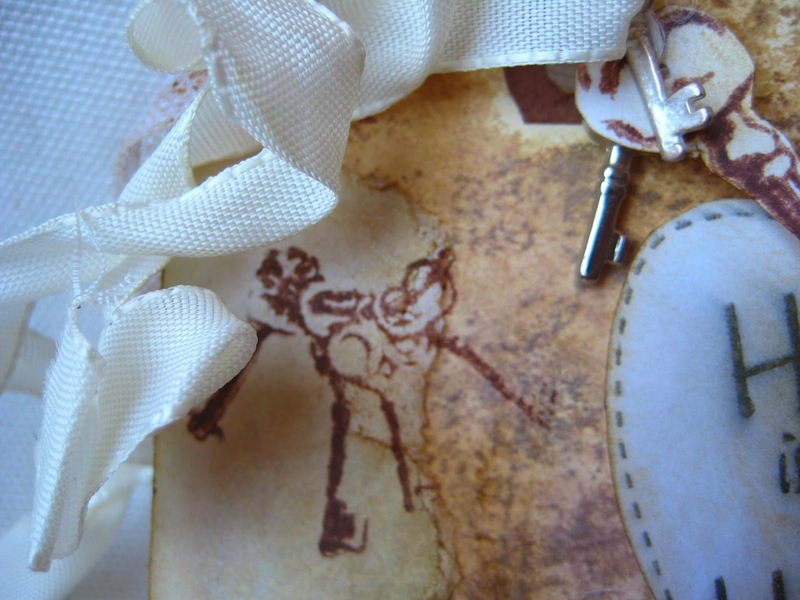 My stamp on the bookmark is Polkadoodles sensational sentiments Stamp doodles. Miria For my card I used two fairies from Bonbon Belles CD , as you can see, they're different sizes, the one in the tag is a mini fairy :) it's so easy to fit them as you like! They are both coloured with pencils. I die cut some scraps of patterned papers from Sugarplum Daisy CD to use as a background and added some sentiment tickets. Fliss For my creation with 2 fairies, I've made a double sided mobile designed to be hung up so that it will twist in any breeze so that you can see the different fairy on each side. I've used my 2 favourite fairies from the Bonbon Belles CD and have used 2 of the absolutely gorgeous floral wreaths to sit them in. I used precoloured images as I'm short on time at the moment but with Nikky's wonderful colouring you'd never know! I added a scattering of gems and pearls and some pretty roses to finish off. 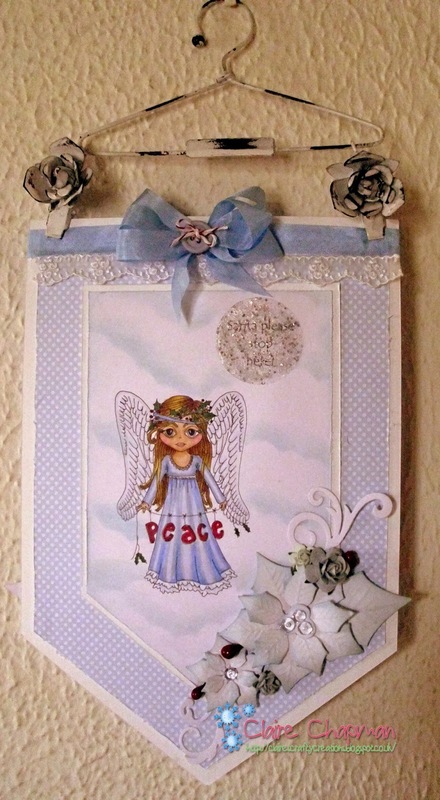 Lidia... And for this challenge I made a triptych with tags, this in turn also serves as Mini Album, fairies are Maggie, Babsie and Meeshelle; Papers from Master Final Cd, flowers are from Studio 12 Stamps. WOW!!! What an amazing array of beautiful projects the team has produced this week, just stunning work from everyone! Hope you can go and visit all their blogs because those girls sure are talented! So there is your inspiration this week - you have until Sun 8th September to enter this challenge and the winner will be announced on the 14th - don't forget you can win a great prize! 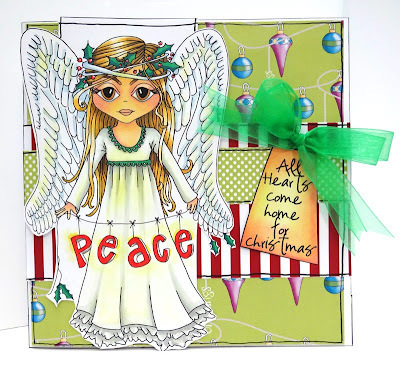 Please also remember if you wish to enter the challenge you MUST USE an Angelberry Digistamp and if you don't have one please look above for details on how to get your FREE one! Good morning, Claire here with a tutorial showing you a fun and easy way to make your own embellies for your projects using Maimeri mediums and your cutting dies. 3. Scrape it out of the pot and onto your clean non stick craft sheet. Hi, folks. 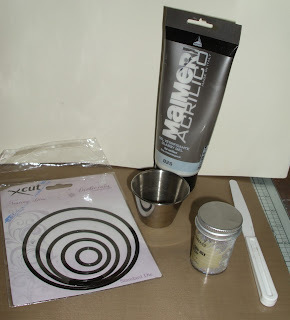 Miria here with a new project for Studio 12. 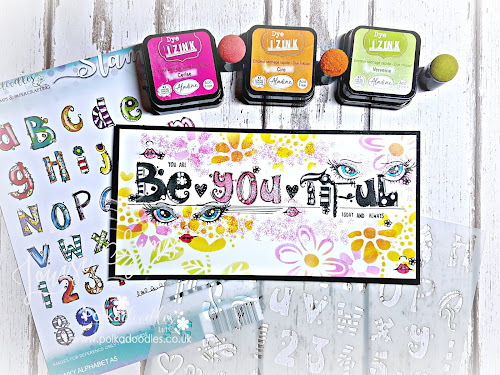 Our lovely boss Nicky gave me the chance to use new Studio 12 stamps and it was love at first sight. For my creation I used a manila tag; I coloured it with Distress inkpads and sprayed with water, then adhered some hand torn patterned paper from cds Pretty Sweet and Picknx Collection 1: I sprayd them as well to give a faded look.. I used the stamps House of possibility and Vintage Ephemera. The sentiment is from Picknx Collection 1 again, I distressed it. 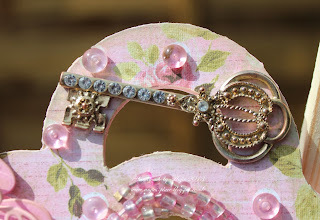 I added two small charms to match the stamped key and ribbon and lace. I think it could be perfect to celebrate a new house. I had great fun in making my project and I'm sure you'll love these stamps, you too. What if the Trees weren't Green! The background was coloured using distress stains, then I added a little interest to the background using a stencil, a bottle lid and a little white acrylic paint. I stamped the border and the leaves using black archival ink and stamped the trees onto book pages before colouring with my Promarkers. The wording was printed on my pc. 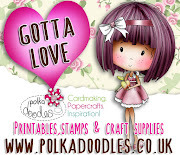 Why not pop over to the Polkadoodles store now and order your stamps - I would love to see your creations. You each win a wonderful DigiWorld Downloadables! Onto the Design Teams creations! Ruth: I've altered a little canvas and added stamped images from the Studio 12 collection - Dreamy Trees and House of Hearts. I've coloured everything with Promarkers and added the bunting banner with some offcuts and cocktail sticks! The heart has been layered with glossy accents but its not shown up too well! Asha - I love Christmas and wasn't about to miss out on a Christmas challenge for no good reason! So I'm gate-crashing team B's party with this festive step card. The colours are bright, the baubles are bold, the presents are plentiful and the fairy... oh so beautiful! 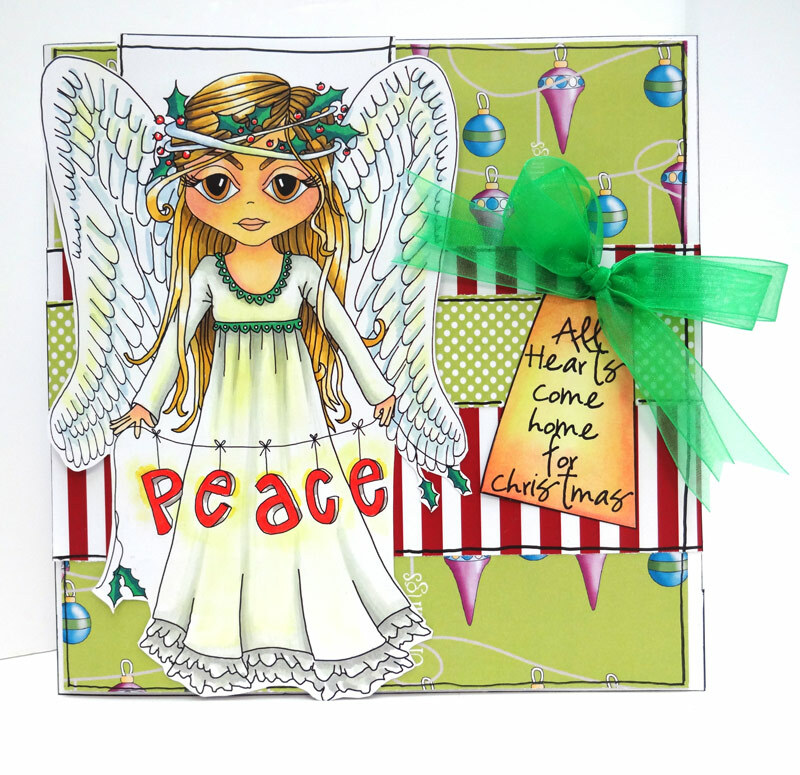 All papers, images, elements and greetings are from Polka Doodles' fabulous new Christmas collection called Angelberry Christmas. To finish my card I used just one thing - some twine! For dimension, I popped the pressies up on some foam tape...and I'm done! JAN: Hehe, I guess this one's open to interpretation, because I didn't think Christmas at all! I saw lovely bright colours and that led me straight to the 'Tropical Sorbet' section of the fantastic 'Bonbon Belles' CD. 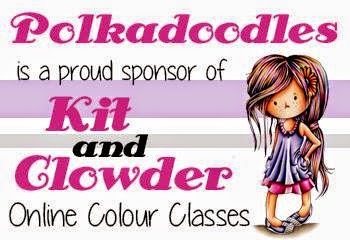 I have never used this colour combination before, but I love it and the sentiment is fab. Take a closer peek to see all the little extra flowers that I cut out and decoupaged on the flower wreath! Lizzie - So..... 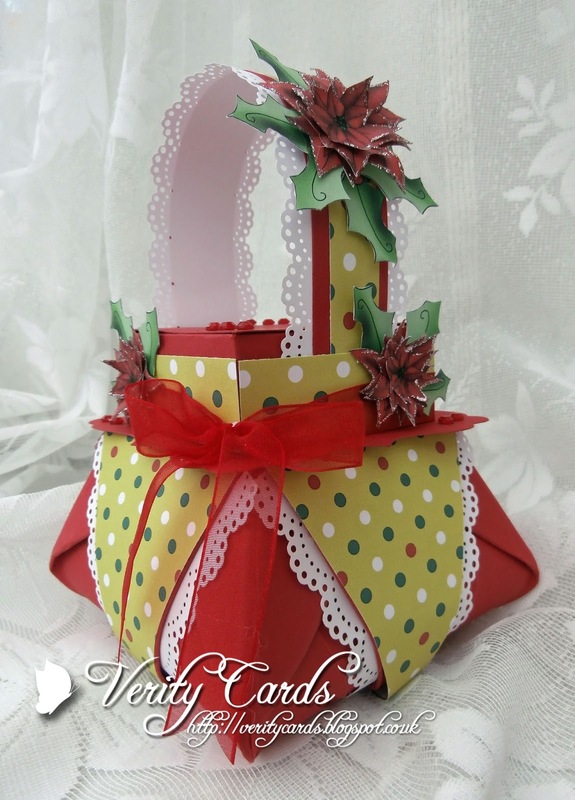 I thought what to do ..... for the challenge well ....Red is a bright colour and this box I saw is beautiful so I decided to have a go making it !! Oh what fun I had !! Just look at those poinsettias they are lush !! And so easy to make. Of course I had to glitter up my poinsettias with Stickles ! I layered the poinsettias and curled them to give them dimension. Just loving them !! 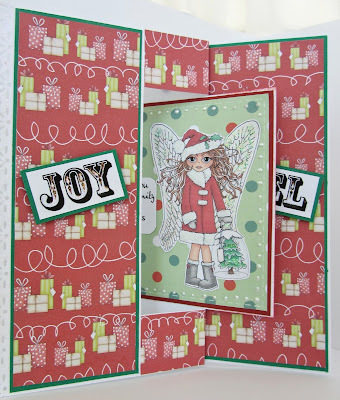 I used the new Angelberry CD for the papers, poinsettias and the holly. The box itself is folded ! YES ......... Folded !! I used a die for the base of the lid, border punches and gems. Oooh yes and I used my new watermark on my photos I got from Polka Doodles ! Check them out there are a few to choose from ! 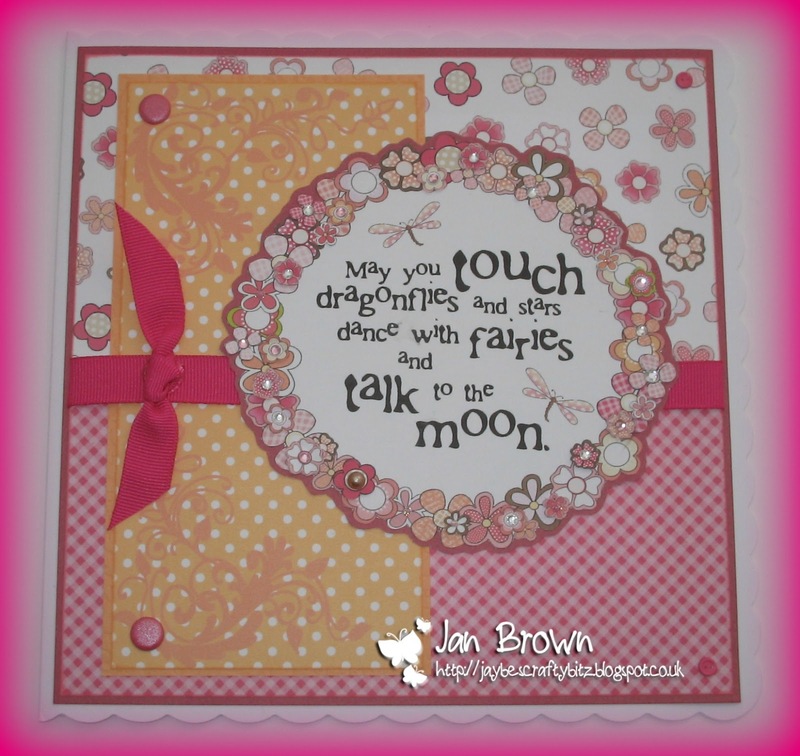 Anjie - For my project this week I have made a card with colours that I think are bright and beautiful. The image, papers, messages and embellishments are all from the fabulous Bonbon Belles Double CD. From my stash I've added some ribbon and a doily. Shell- My card this week uses one of the Emma Canning digi's from the store here the image has been coloured with copics, and the papers are off the Angel Berry CD (not just for Christmas) All the die cuts have been cut using my cameo. Lou: For my project I have used a selection of Studio 12 stamps and Polka Doodle stamps and have cheated a little by making the sentiment match the theme! Stamps used are Shabby Chic Roses, the heart is from "Distressed Zig and Zag" set and the sentiment was made using the "Distressed Typewriter Alphabet". The background was created using the checkerboard stamp from "Wonderland Stamp Set" and I have used this stamp on the flowers and leaves for added definition. 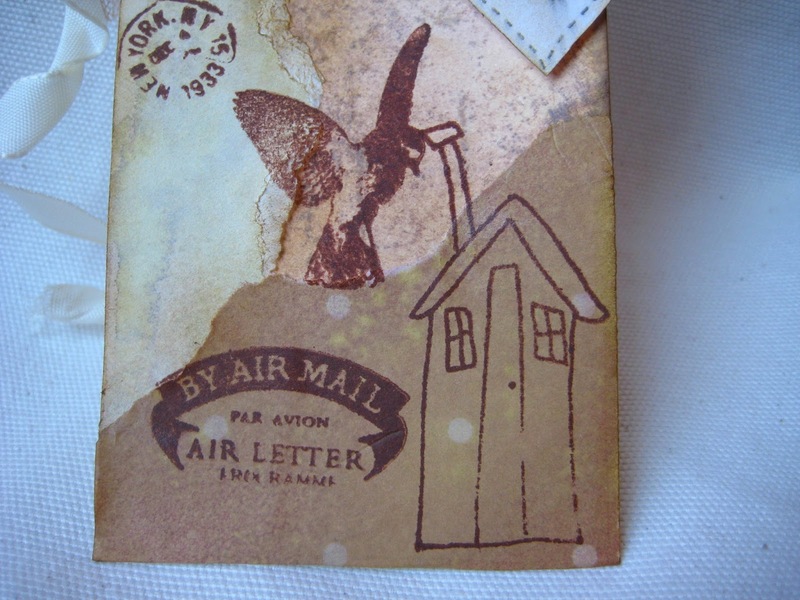 All images and sentiment are coloured with various distress inks. 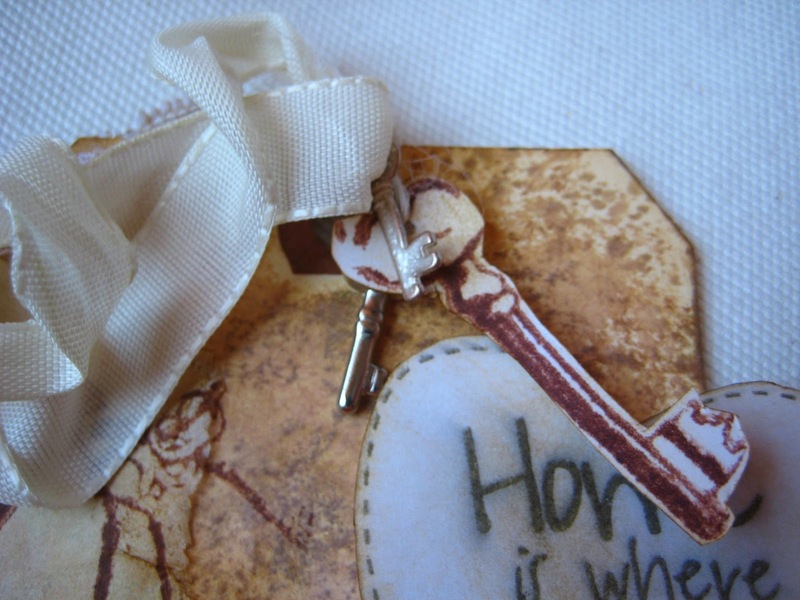 Finished with some ribbon and chipboard buttons which I have covered with left over Polka Doodle papers. Now the lucky winner of this week challenge will win a wonderful DigiWorld Downloadables, which is a great way to begin your Polka Doodles digi obsession. There are lots to choose from!. Now it's your turn and you have until 12 noon on Sunday 1 September to enter and Good Luck! Hi, it's Lou today sharing my Studio 12 project with you and did you know that all the gorge Studio 12 stamps are back in stock over in the shop ..... so very happy as can finally share some of my projects with you all. I have been dying to ink up the Studio 12 Susan Weckesser, "The purpose of Art" A6 stamp set for ages and had the perfect opportunity recently .... a new home card for my sons girlfriend ... married with the fab sentiment from "Home Sweet Home" A6 stamp set. The background was made by painting with white and blue acyric paints and an added strip of green card along the bottom. The strip was then torn and the stamped image added. 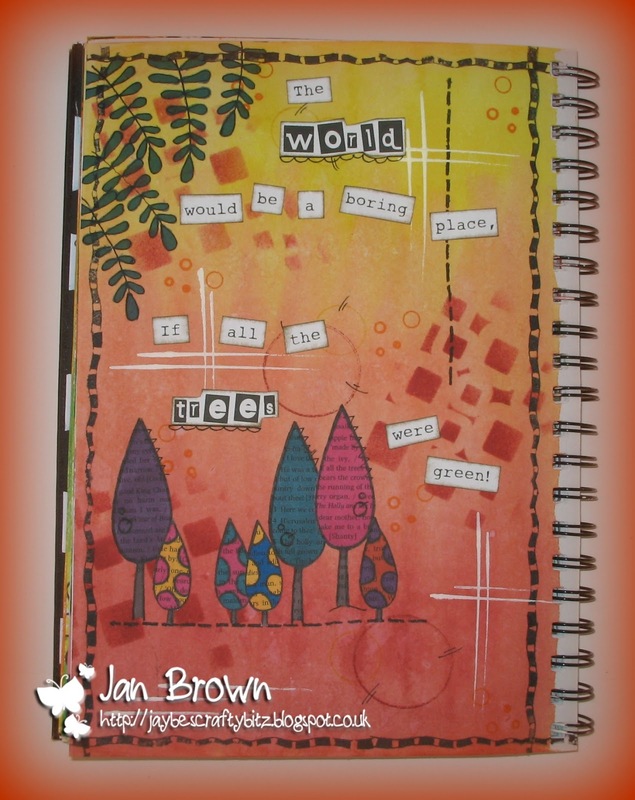 All have been coloured with distress inks. I cut out the sun and clouds and added them where they would appear on the image. Hello everyone, it's Anjie here with a Studio 12 post. I have a huge pile of items waiting to be altered in some way or another so thought I would use one of them for todays post. It started out life as a plain MDF key which I have made into a key hook. The paper is from the Studio 12 CD-rom Picknix Collection 1. The flowers are made from the same paper. I have slightly distressed the edges and ink them with a distress ink, and have done the same with the flowers. I threaded a string of beads to add around the circular hole, and added some Doodles Dew Drops, and a die cut butterfly. 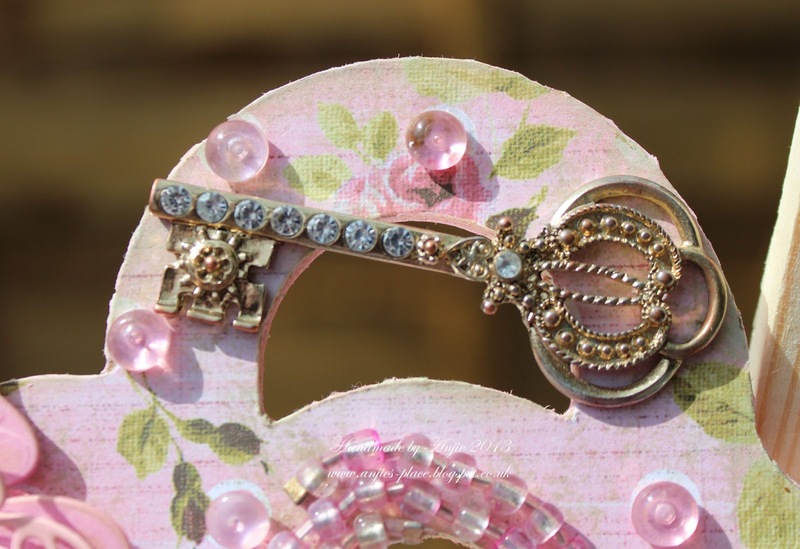 The keys are from a broken handbag charm. 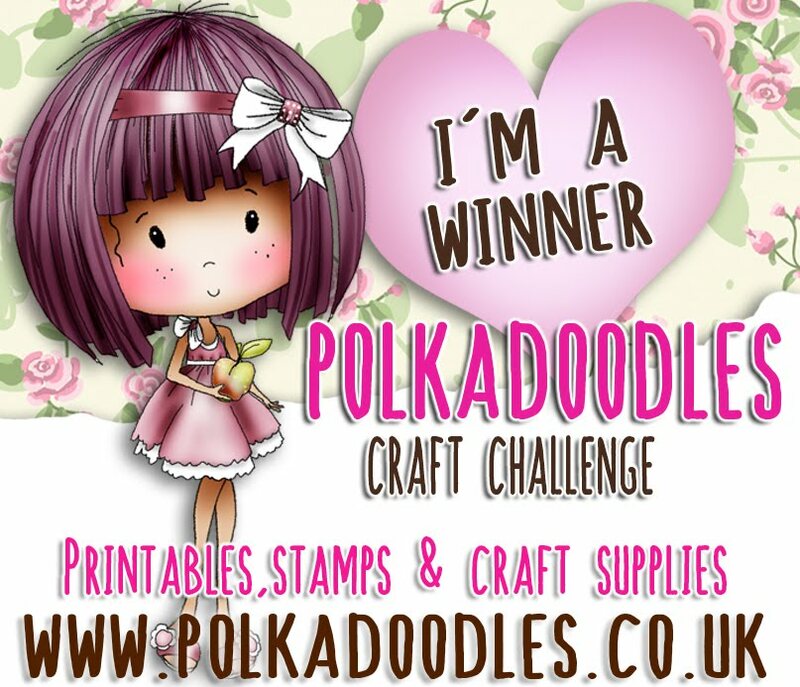 Hello and welcome to a challenge with a difference at Polka Doodles! Congratulations to you all. Please all email Nikky and don't forget to quote your winner's code - we cannot release prizes without it! Blinkies are in the sidebar for you to grab. and we cannot wait to see what projects you make using this theme as your starting point. Now last week the DT (Group A) had an extra challenge, so it would be very unfair (don't you think? ), if this week the DT (Group B), didn't also have the same challenge but with different set of "DigiWorld Downloads" to help create their projects. You will find their projects this week under the relevant DigiWorld download they have used. 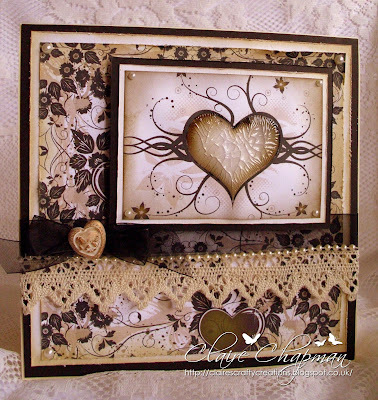 CLAIRE C: Hi there, I've made a card using paper and one of the toppers from 'Have a heart', it was a quick card to make, I just added a bit of distress ink and clear crackle paint to the heart and added some ribbon, lace and pearl trim. SALLY: Hi there, Here is my challenge card "Have a Heart" I made this card using the downloadable bundle from the Classic Heart Kit. This card will be sent to my neice and her fiancé as they have just got engaged. I used two Spellbinders dies for the sentiment and frame. 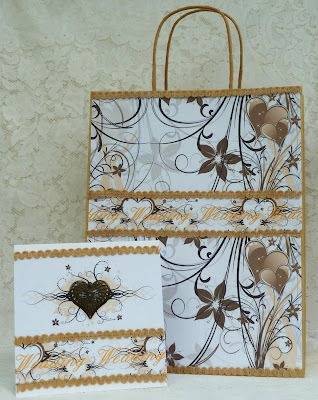 FLISS: Hello from me too and I decided to make a pretty bag and matching card set perfect to give the happy couple on their wedding day. As I love mocha and gold, the Classic Hearts set is just right. 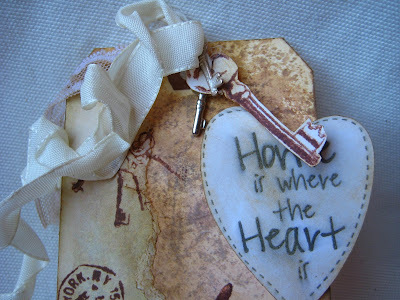 All I did was cover a plain kraft bag with some of the gorgeous heart paper and add a central border. I then added some rather rustic braid to trim the bag. 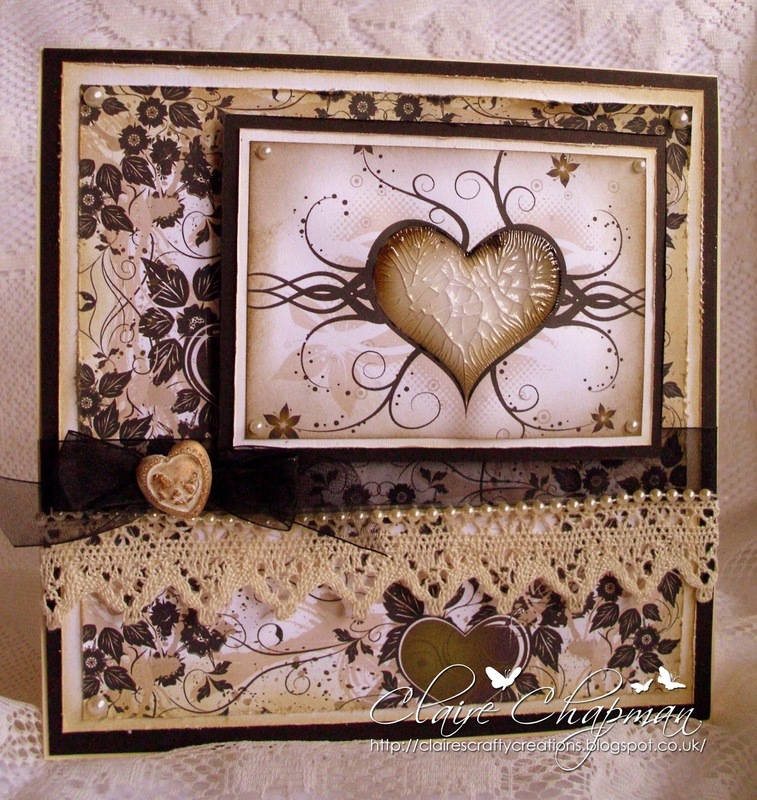 I made a matching card and added a metal heart embellishment to finish. 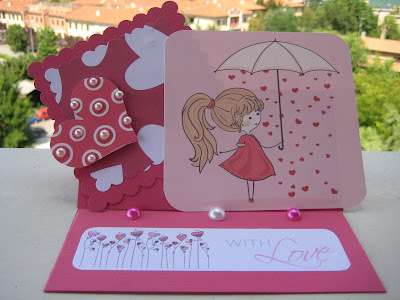 Asha: This is such a versatile and cute little love collection. 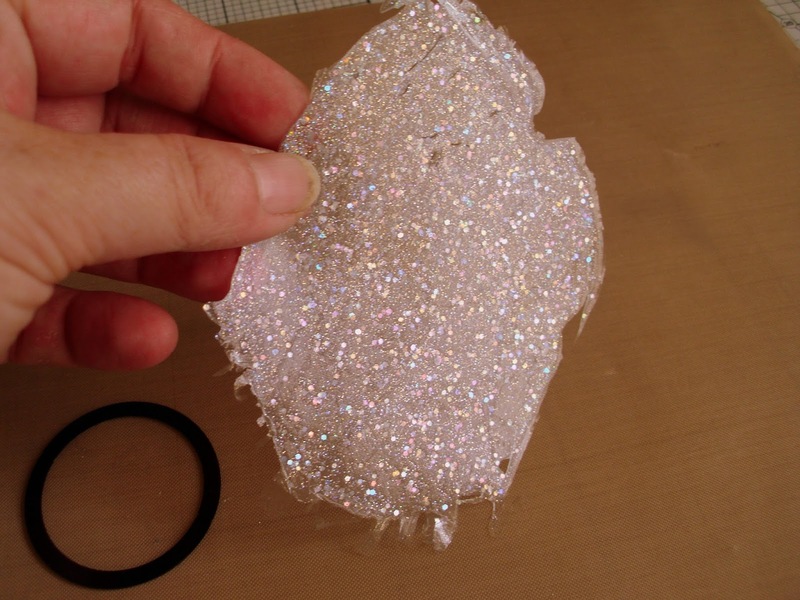 You can make all kinds of projects for Valentines, Engagements, Weddings or anytime you want to spread a little love. 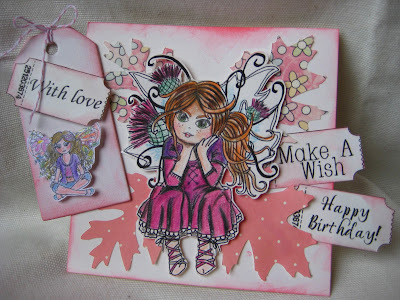 I made a diorama card to send to one of my oldest friends, just to let her know that i'm thinking of her... with love. 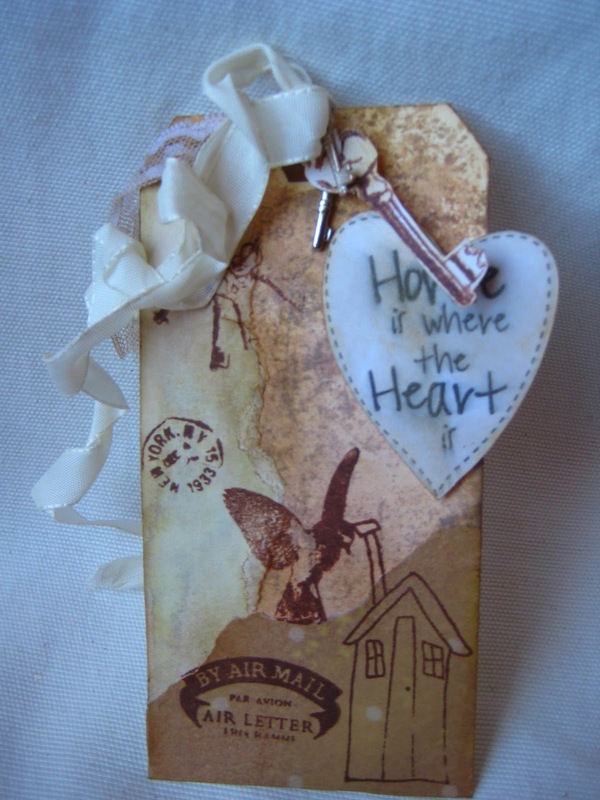 All elements are from the Heart to Heart kit and to jazz things up I used some sheer ribbon, bling and liquid pearls. Miria I made an easel card; I used an image, paper, embellishment and sentiment from Heart to heart Downloadble , so quick and easy! I just added some half pearls. KARON: Hi everyone. Here is my little bit of inspiration using the above kit. I made a joy fold card. My sentiment on the inside is from the Love and Cherish CD, which this download bundle is from. 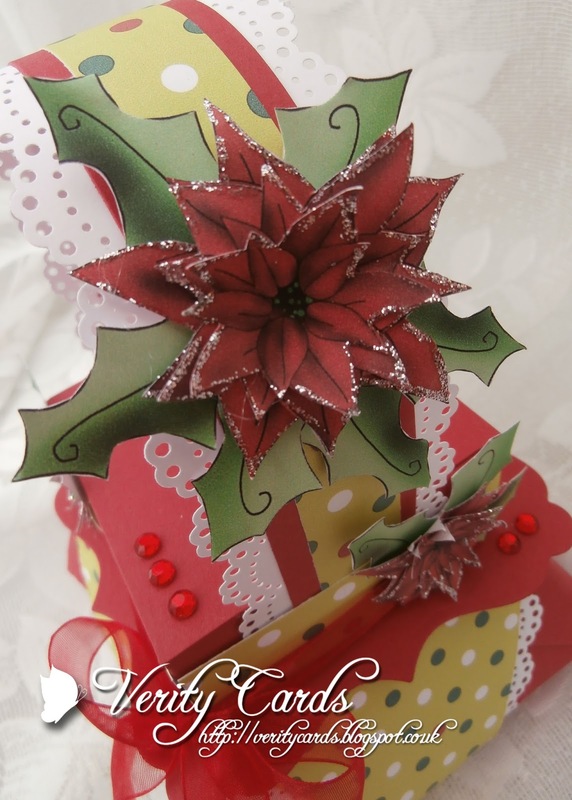 I added a little bit of ribbon down the left side of the card and also raised up the topper on pop dots. BEV: I love this download bundle! I used the bird digi stamp, copied, pasted & flipped it in my graphics programme, placed it in the heart digi then cut it out and coloured it in and glittered their tails. I made a central stepper card and used the complimentary papers and border to decorate adding text & faux stitching to finish it off. I think the end result is fresh & funky. 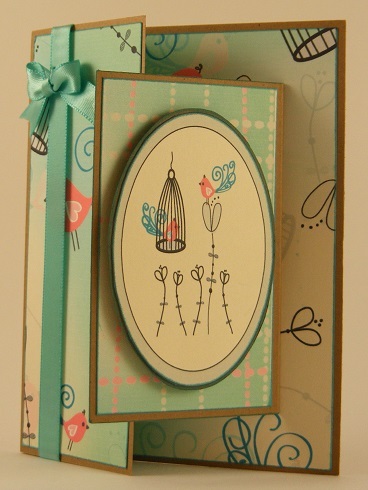 Alethea - I decided to make the bird cage from the Love Birds kit. I printed out a full a4 page of this paper then printed the template on the back!! I did change it slightly only because I didn't want to print out another whole page for a couple of bars! I fussy cut the love birds and stuck them together. To finish off I just added a couple of heart embellishments. I had fun making this!! Now the lucky winner of this week challenge will win one of these delish DigiWorld Downloadables, which is a great way to begin your Polka Doodles digi obsession. 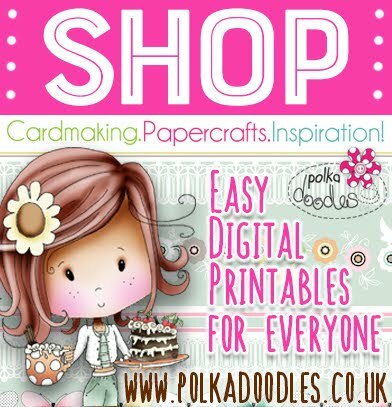 Why not check out all the other digi downloads in the shop as there are oodles and oodles of Polka Doodle loveliness waiting to inspire you. Now it's your turn and you have until 12 noon on Sunday 18th August to enter and Good Luck!